Prima is holding a card challenge for 12 days. Your part of the challenge is to pick any of the designer cards and lift it giving it your spin. 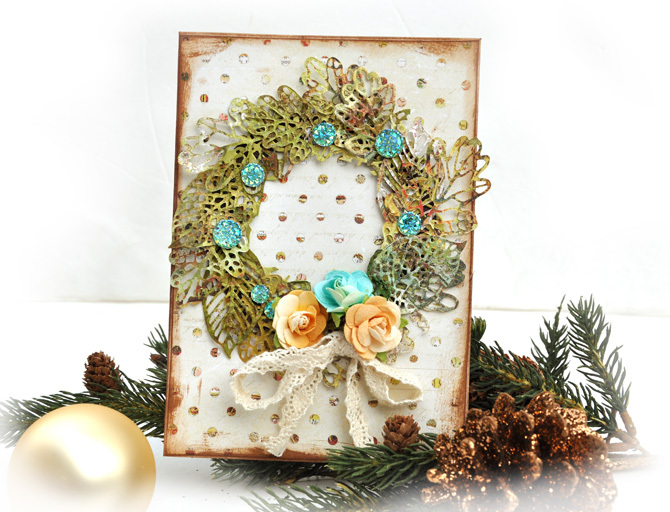 Then after you are done, you need to upload it to the Prima site here . 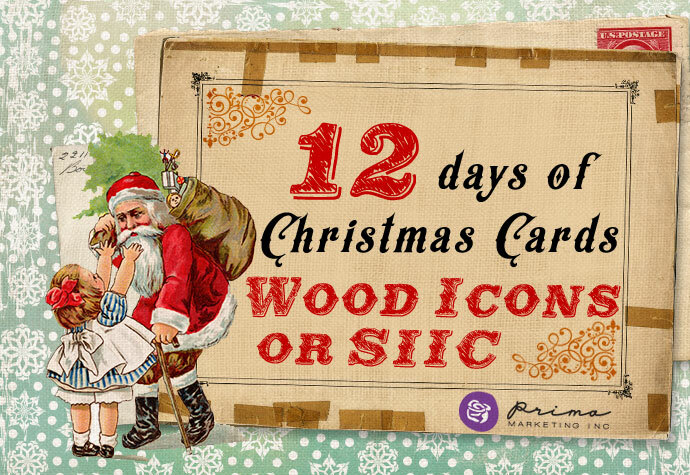 So today we are celebrating wood icons or Prima's Say It In Crystals (SIIC). I love Prima's Say It In Crystals (SIIC) . They're versatility knows no limits. 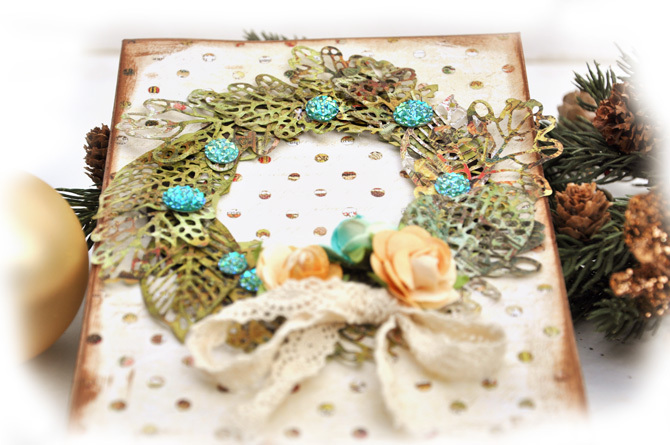 They make any project festive - which is what Christmas is for me - a festive,- joyful time. 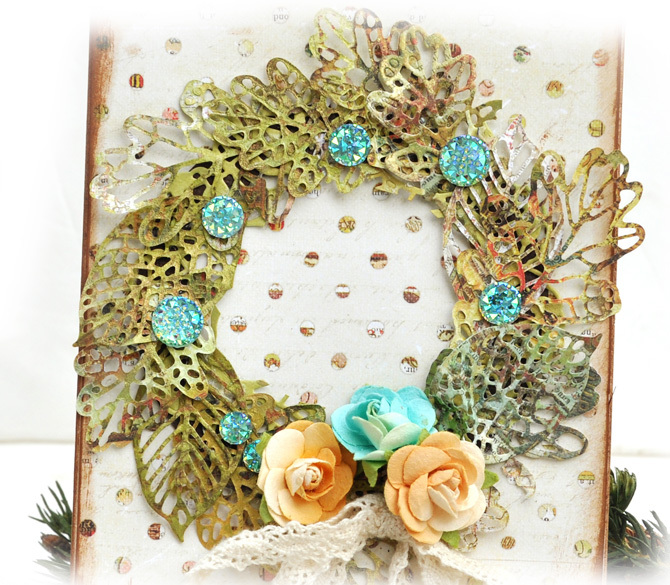 My wreath is created using the Prima Metal leaf dies. You can play along and add your card here.